HIGHEST In collaboration with Blue River extracts and top tier farms, these are our seasonal top-shelf connoisseur cartridges. 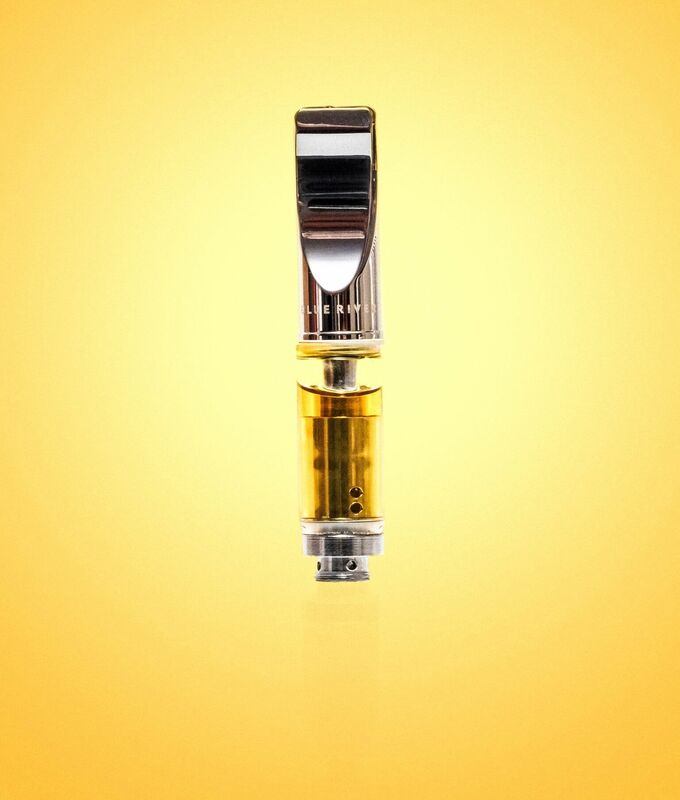 Gold Drop’s high potency single source distillate oil infused with its corresponding single source cannabis-derived terpenes by Blue River pre-filled in a 500mg stainless-steel/glass cartridge. Leaving only the essential oils and bypassing all the plant matter and carcinogens, these vapor cartridges are truly medicinal. Available in 5/10 threaded 500mg size, we suggest using our push-button variable 5/10 threaded batteries. Ingredients: Single source Clean Green Certified high potency distillate oil (Zero ppm, mold mildew & pesticides) and single source cannabis derived terpenes.